It’s that time of year when most people are planning trips outside the state to take advantage of the beautiful summer weather. 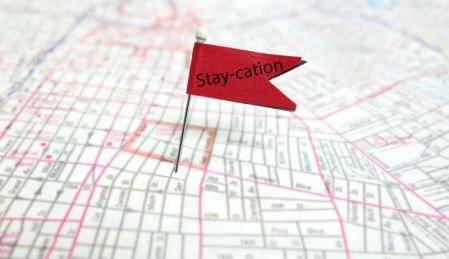 If you like the idea of taking a vacation but aren’t keen on having to travel far, it might be time to consider a “staycation.” Instead of heading out of state, you can pay a visit to one of the many fun and beautiful locations right here on Long Island for the duration of your vacation. Members of our staff here at Westbury Toyota have some Long Island destinations that we’re more than happy to recommend to anybody interested in trying out a staycation! If you’re in the mood for a more historical staycation, why not check out the quaint charm of Oyster Bay? Not only home to Teddy Roosevelt’s summer house, it also has a wildlife preservation with 15 acres of idyllic hiking trails for you and your family to enjoy. When it comes to activities, there’s no shortage of stuff to do. As Katy Lyn of Thrillist explains, the waterfront of Oyster Bay offers up plenty of activities, including a ride around the bay on a historic oyster sloop. There’s also a plethora of restaurants for your Italian ice and fine-dining needs, and if you have a hankering for a nice evening stroll along a gorgeous beach to finish off your day, Oyster Bay has that too! Greenport’s origins are that of a whaling town and it still boasts those ties to the ocean, which is evident by the number of yachts you’ll see moored in the harbor. In addition, there’s a ferry that will take vehicles and passengers both to and from Shelter Island. Greenport is also home to a great deal of craft breweries, Annemarie Kropf of TravelZoo points out, which makes it a perfect staycation destination for people who love wine and beer tasting. There are plenty of family friendly activities to do in Greenport as well, including a beautiful carousel for children, numerous quaint B&Bs, and lots of stores for those who are shopping-inclined. Shelter Island, toward the Eastern edge of Long Island, is the ideal place for people who enjoy a quieter, more natural setting for a staycation. There are more than enough B&Bs and guest houses on the island to book rooms from. If you want to take advantage of the beautiful setting, you can take a bike tour (you can rent bikes there) through the Mashomack Preserve, which protects upwards of 2,000 acres. As Beau Prichard of USA Today describes, there are also a good deal of excellent restaurants and antique stores to keep people both entertained and satisfied. Fire Island is a federally protected reserve that offers visitors camping, hiking, beach fronts, and wildlife. The island is mostly car-free and is accessible only via ferry. In terms of scenery, you’ll see everything from forests to clean beaches to sand dunes to extravagant summer mansions. There’s plenty to keep you, your friends, and family occupied on Fire Island, says the staff of Lonely Planet, including camping and hiking for the outdoorsy types and clubbing and fine dining for people who prefer a more urban setting. There’s more to do at the park than you can possibly fit into one day, so book a couple of nights at a nearby hotel and take a weekend to enjoy everything Adventureland has to offer. Summer flies by so quickly, so make the most of it while you can! If you can’t afford or book enough time off for an out of state vacation, you can still get away from home and have a great experience while staying on Long Island. Regardless of whether you want a quiet camping trip or an activity-packed weekend, Long Island has got you covered!